Founded in 1986, A & A Automotive serves the automotive repair and new tire needs of customers in Middleborough, MA, Lakeville, MA, Taunton, MA, and surrounding areas. After being founded in 1986, A & A Automotive has been located at 381 West Grove St. in Middleborough, MA for the last 28 years as an auto repair center and tire dealer. Owner and operator Scott Dixon has more than 30 years of experience. Since the beginning, our business has been focused on building strong customer relationships and providing the highest quality of workmanship on each and every automotive repair. Tire services, including computer spin and road force balancing, flat tire repairs, PAX tires, and tire rotations. Quality repairs for brakes, electrical systems, exhaust systems, and steering and suspension systems performed by ASE-certified technicians. 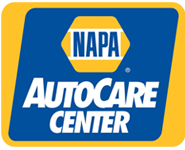 Other services including diagnostics, state inspections, wheel alignments, and preventive maintenance. Free four-wheel alignment with purchase of four tires.